What is an enc file and how do I open an enc file? The .enc file extension is used by files in the UUenconded format, which are encrypted files. This also means these ENC files contain protected data and are saved in this format, so unauthorized viewing and copying of data can be prevented. 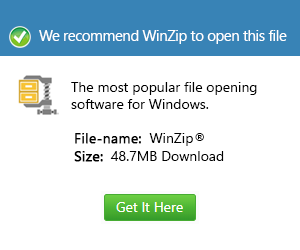 Users of computers that run on widely used Microsoft Windows systems like Windows XP, Vista and Windows 7 can unencrypt, open and view the content of these files by installing Corel Win Zip 16 Pro. This is an application that is classified as a file compression and decompression tool, and when these files are decompressed using this program, users must supply the correct unencryption key to gain access to the content of the files. Otherwise, this software will deny the user access to open and view the content of the files.